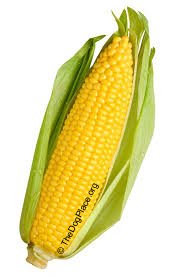 Starlink corn, genetically engineered corn for animal feeds, found by Greenpeace; FDA initiates over 300 human food recalls due to toxic corn in food supply. Greenpeace asked the U.S. Food and Drug Administration (FDA) to order a nationwide recall of Kellogg's Morningstar Farms brand meatless corn dogs it said contains StarLink corn. Greenpeace claims to have detected traces of a genetically altered corn variety developed for animal feed, not for human consumption. It was however, used in vegetarian corn dogs made by Kellogg Co. StarLink is barred from human consumption because of concerns it might trigger allergic reactions but the corn was discovered in taco shells, prompting a massive recall of more than 300 food products. The Kellogg Company said it had sent the corn dogs for independent testing after Greenpeace reported the genetically modified StarLink corn. Kellogg's says it has told FDA they are sending it for independent testing but incredibly, it has not decided whether or not to recall the corn dogs and will not decide until testing is complete. Kraft Foods reported traces of the StarLink corn variety, which as engineered by European pharmaceutical giant Aventis, were detected in Taco Bell brand taco shells. StarLink was also found in other food products in Japan, which happens to buy more U.S. corn than any other country. The U.S. Agriculture Department said that StarLink had hurt U.S. corn exports, dropping prices to 15-year lows. Farmers claiming to have suffered financially from the slump in corn exports and lower prices have filed class-action lawsuits against the U.S. unit of Aventis and industry sources said it would cost Aventis hundreds of millions of dollars in farmer compensation cost to farmers who grew StarLink or had their corn contaminated by that variety. Greenpeace's genetic engineering specialist said that tests on three Kellogg food products revealed a gene-altered soy ingredient and genetically modified corn. They were purchased from a Safeway store and sent to a British laboratory for genetic-engineering testing. All three products tested positive for genetically engineered soy, and one product tested positive for Bt corn, a genetically engineered corn which subsequent testing by Genetic ID revealed StarLink. Tests also showed that Kellogg's Morningstar non-meat burgers and vegetable patties contained a genetically modified soy ingredient, but not StarLink corn although Morningstar corn dogs contained StarLink corn in the same amount previously recalled. The USDA, which announced a buy-back program on Wednesday of some corn seed contaminated with StarLink bio-corn's unique protein, known as Cry9C, had no comment. 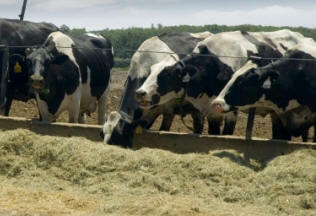 Controversy surrounds the EPA's 1998 approval of StarLink for animal feed. The EPA then announced it would not grant any more so-called "split registrations," allowing a biotech plant to be used for animal feed but not for humans. A spokesman for the National Corn Growers Assoc. said the industry learned a lesson with the taco shells recall. They want no seed corn planted that isn't verified to be StarLink-free. Editor's Note: Corn is widely used in dry and canned dog food. Genetically modified or not, Corn is for cows, not dogs! Corn is virtually indigestible for dogs. It is used as a cheap filler to raise the protein level for label-readers. 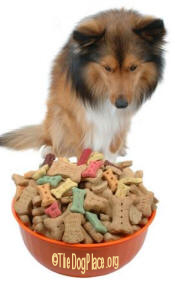 Pet foods containing corn are thus automatically suspect. For the past year, Greenpeace USA has been putting pressure on Kellogg Co. in an attempt to get the company to remove genetically engineered ingredients from its entire product line. In Europe, Kellogg's products are free of genetically engineered ingredients. In a press conference held on Thursday, Greenpeace genetic engineering specialist Charles Margulis told reporters that tests commissioned by the group on three of Kellogg's Morningstar Farms products revealed a gene-altered soy ingredient and genetically modified corn. It turns out that StarLink corn, unapproved for human consumption, was found in Kellogg's Morningstar Farms brand meatless corn dogs. The genetically engineered soy was found in the corn dogs and two other products. While it is not illegal to use genetically engineered soy, Kellogg had previously said that they were using non-genetically engineered soy in their Morningstar Farms, Worthington, Natural Touch and Loma Linda products since April 1, 2000. Hopefully this negative publicity will cause Kellogg's management to think further about removing genetically engineered ingredients from their entire products line.